A choice-based classroom constantly evolves and improves to provide a productive, innovative environment conducive to all learners. As you reflect upon your practices last school year, it is important to make sure your classroom is as ready as it can be for your students. No matter if you are just starting choice or have been doing choice for a few years, it is important to know what to focus on to get your room ready. 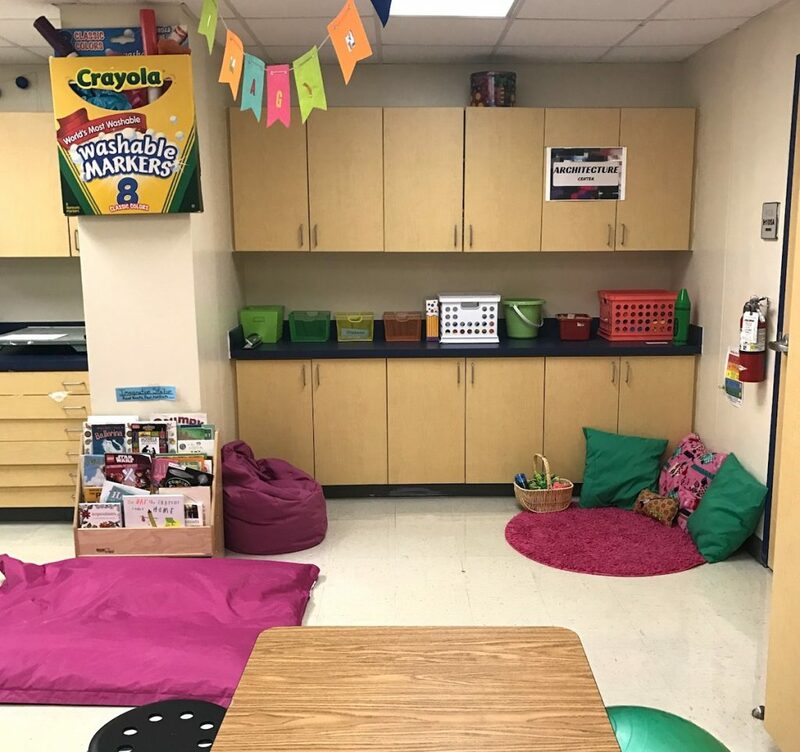 Here are 6 things you can do to get your choice-based room ready for your students this year! 1. Optimize your room layout. A key focus of your planning should be room setup. Your room should be arranged thoughtfully, and your students should be able to easily move through the space. Did my students get to the designated centers easily? Were tables or other objects in the way of certain centers? Were any areas in the room prone to congestion? If you said, “yes,” to any of those questions, you might want to make a new plan for your room layout. 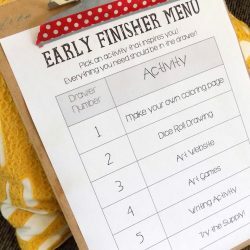 A key ingredient to a successful classroom setup is making sure students can access the supplies and get back to their tables easily. Making the traffic pattern as simple as possible will help alleviate many headaches. So, while all classrooms are not equal in size, you’ll want to make sure you’re using the space you do have wisely. Think outside the box; do you have cabinets or other spaces that could house centers? If so, summer is a great time to declutter and reorganize your space! 2. Organize your supplies in centers. 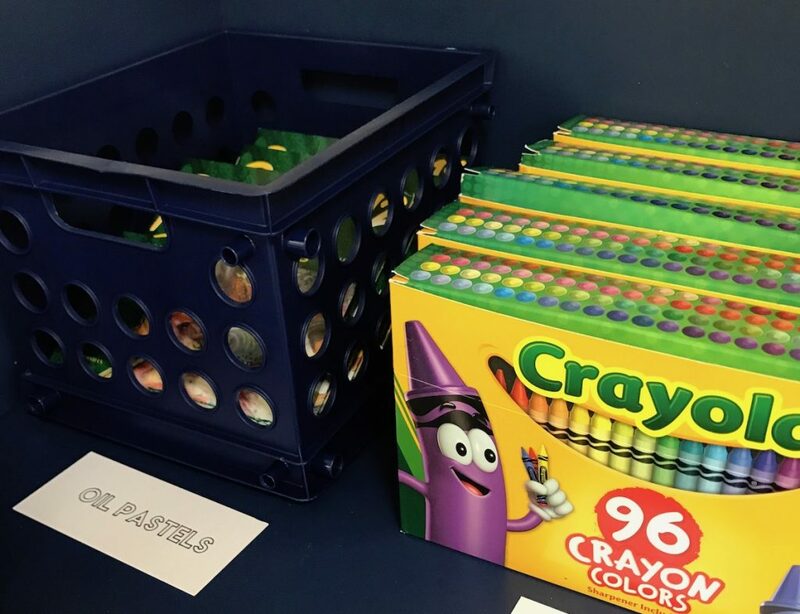 Organizing your supplies, so they are located in centers is a typical practice in a choice-based classroom. In order to get ready for the upcoming school year, revisit how well the supplies stayed organized Do you need to switch things up? Supplies that will be in constant rotation should be placed in easy-to-reach areas accessible to students. Expensive or limited supplies should be housed separately. Make your expectations clear. Students may need to ask you for permission or use a check out system to encourage accountability. In addition, make sure the containers make sense for what’s inside. Are papers getting bent? Are marker cups tipping over? Assess what’s not working and adjust accordingly. One tip I love is to pre-cut paper in a few different sizes and store them ahead of time. This will save time as you begin the year and give you a smoother start. 3. Label your centers thoughtfully. Labeling your centers and supply containers is a great start. But, as the year goes on, you may find you need to add new labels or refresh old ones. You’ll also want to think about adding photographs or visuals to your labels. This is especially important if you teach younger students who may not be able to read or have students who can’t read English. Doing this is time well spent and will be a great benefit to your students. 4. 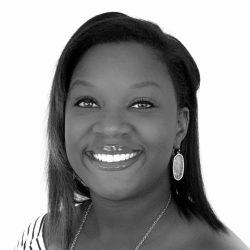 Collect and organize inspirational resources. 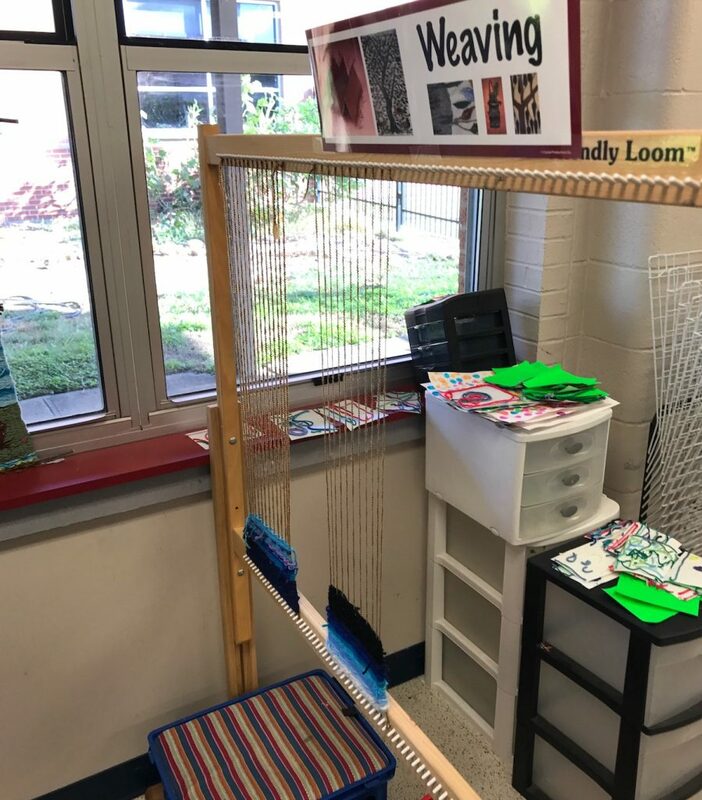 Many times in a choice-based room, students have the opportunity to develop their own subject matter for student-led projects. Empower your students with the resources they need to help them take their learning into their own hands. This can be done by collecting and organizing various resources. I have a wide variety of books and resources in my room. Instead of putting them all together, I plan to organize them into categories: drawing books, books about artists, handouts on how to do origami, and so on. 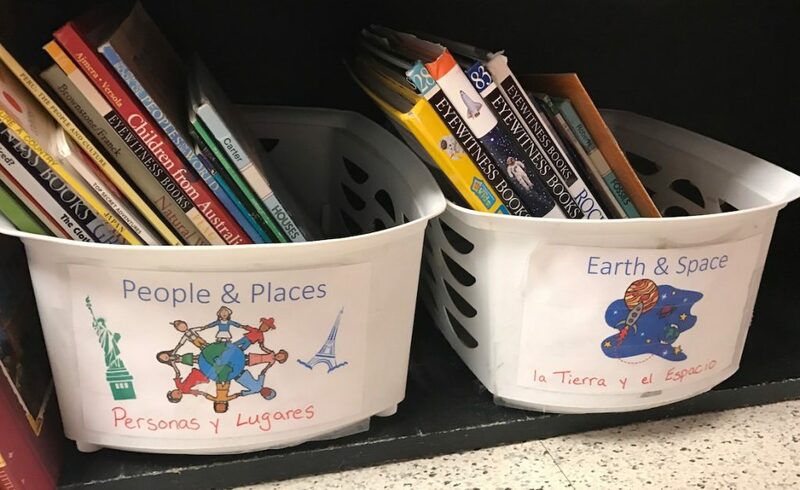 Placing these resources in labeled bins will help students find exactly what they’re looking for. I know some teachers prefer to organize alphabetically. Regardless of what you choose, make sure your students understand your system so they can use it. Anchor charts are visuals created to show art processes and classroom procedures. They are a good use of your wall space because they display practical information which allows students to be independent in the art room. As you can see, there are many types of anchor charts. If you have several of these already, think about new lessons you plan to teach and add a few more. 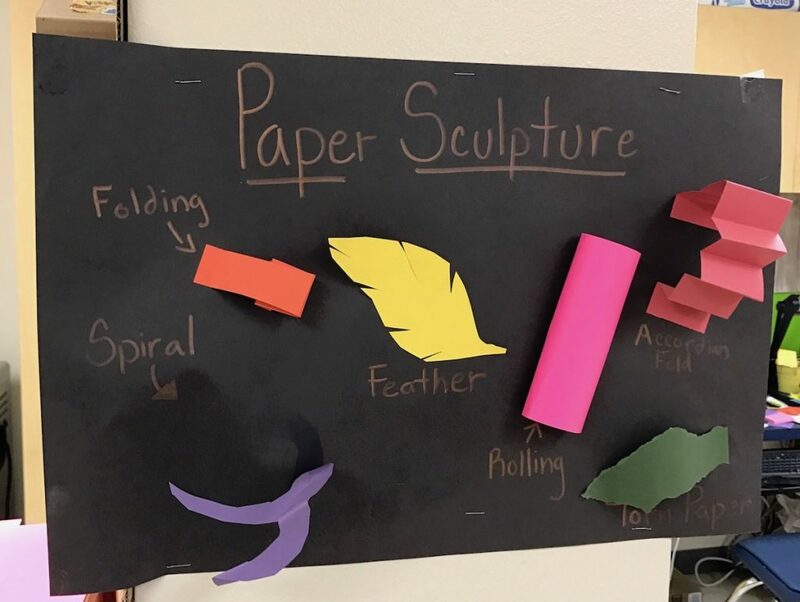 Maybe you add an anchor chart about stop-motion animation or how to write an artist statement. You can learn more about anchor charts in these articles. 6. Create QR codes for centers. In a choice-based classroom, students take charge of their own learning. For this reason, QR codes can be a helpful addition. You can create QR codes connected to specific handouts, images, and video tutorials. For instance, you could add a QR code to a weaving center that contains videos of all of your demonstrations. Students can go back to the QR codes when they need a reminder of the next steps or if they are absent and miss a class. 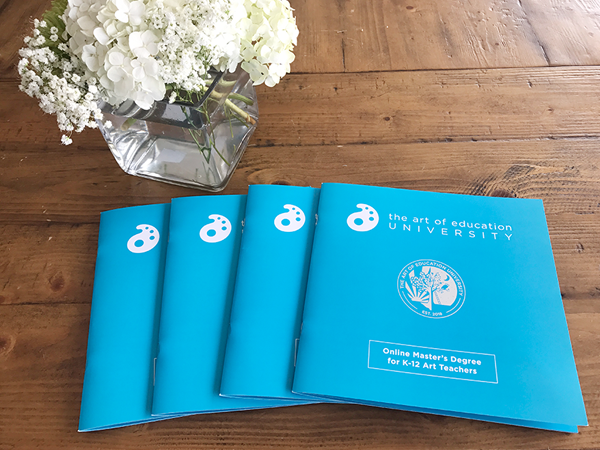 No matter what you do to prep for the upcoming year, make sure you have done your best to provide an optimal learning environment for your students. 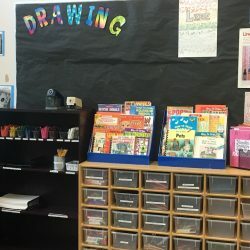 Choice-based classrooms have unique features that are important to maintain in order to promote success in the classroom. What have you done so far to prepare your choice-based classroom for the school year? What do you think is most important when setting up your classroom for the new year?